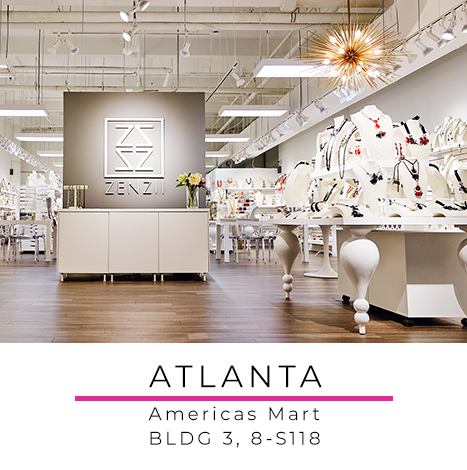 ZENZII, derived from the word ZEN, is a wholesale fashion jewelry company located in Atlanta, Georgia. We are a nationwide, as well as international, wholesale supplier. 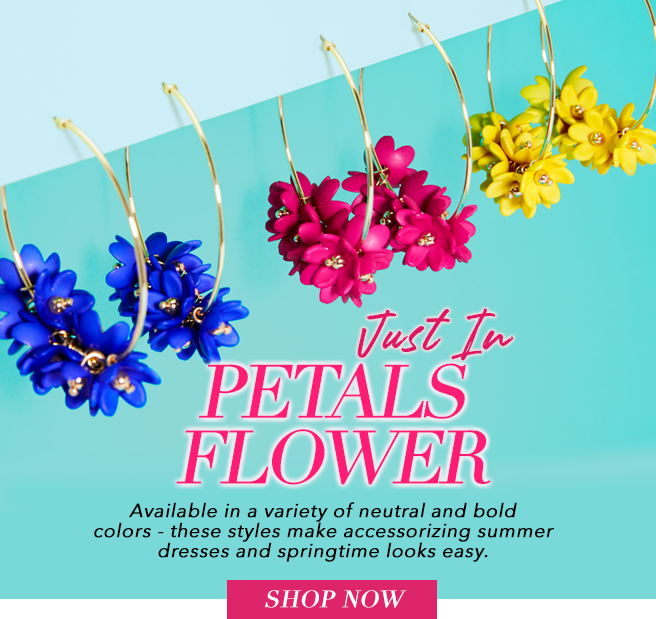 We sell to boutique shops, department stores, online stores and specialty stores alike. 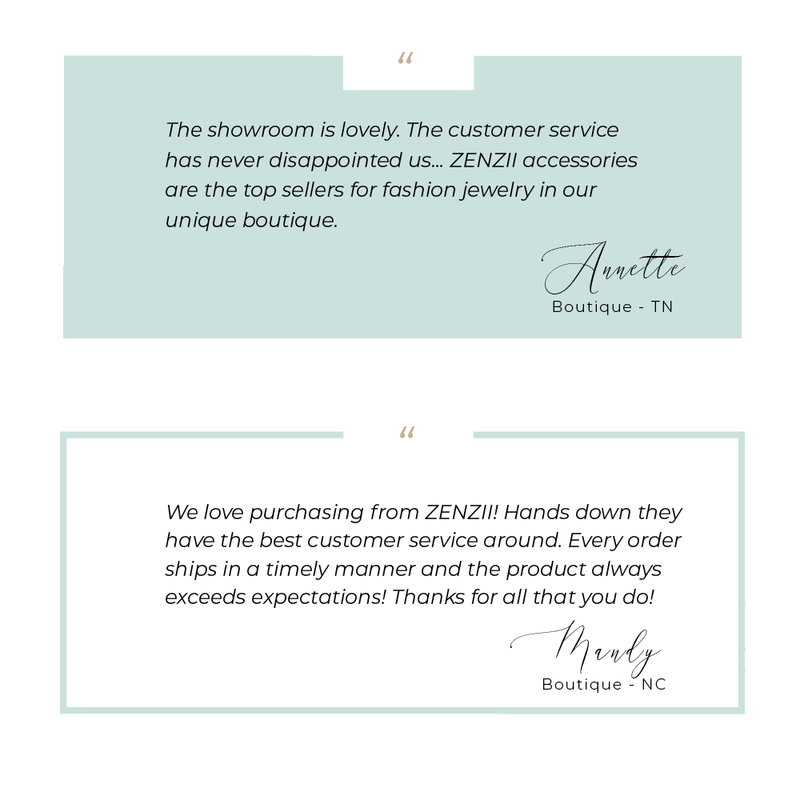 We are committed to providing the best customer service, highest quality wholesale jewelry, fashion forward styles and competitive pricing to make your shopping experience an enjoyable one! 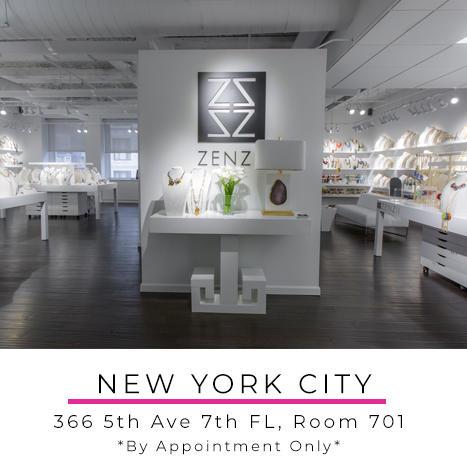 Our jewelry inventory includes over 4000 styles and includes a vast selection of statement necklaces, stackable bracelets, trendy earrings and handmade jewelry that are sure to please even the most discerning customer. 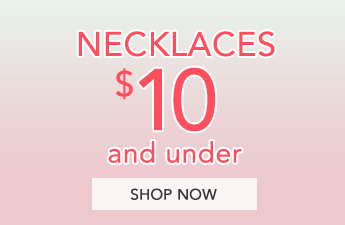 Whether your customers are looking for jewelry that compliments casual wear or formal wear, we have the perfect accessory for any outfit. 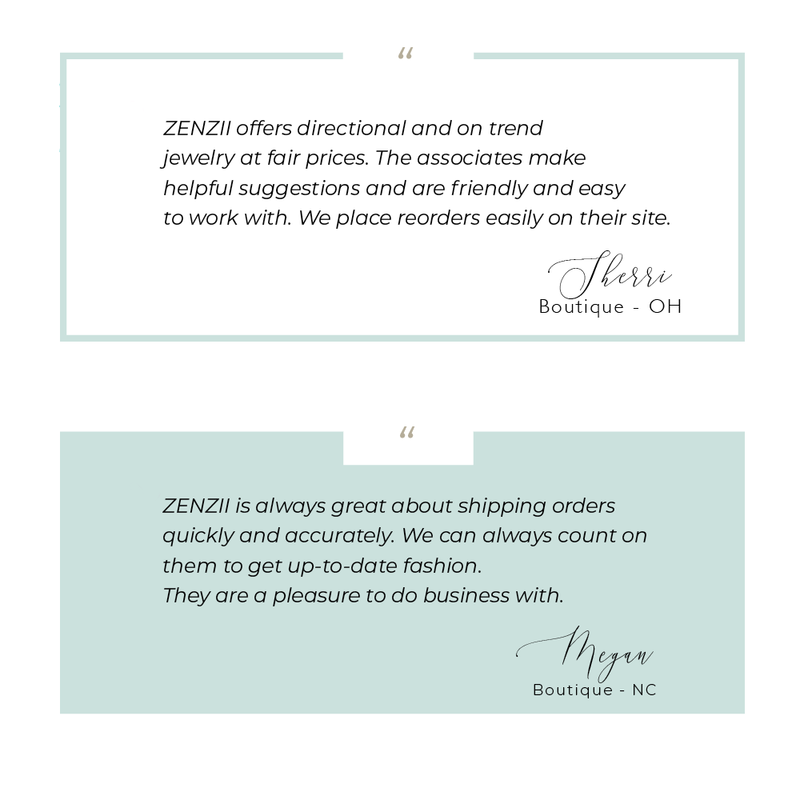 At ZENZII, we believe that jewelry should make a statement and be an extension of any woman’s personal style. Each season, we research the latest in fashion accessories and work directly with our manufacturers to create unique and fashion forward designs. Need help in stocking your shelves with a variety of accessories that range from casual wear to statement making? We can help you! 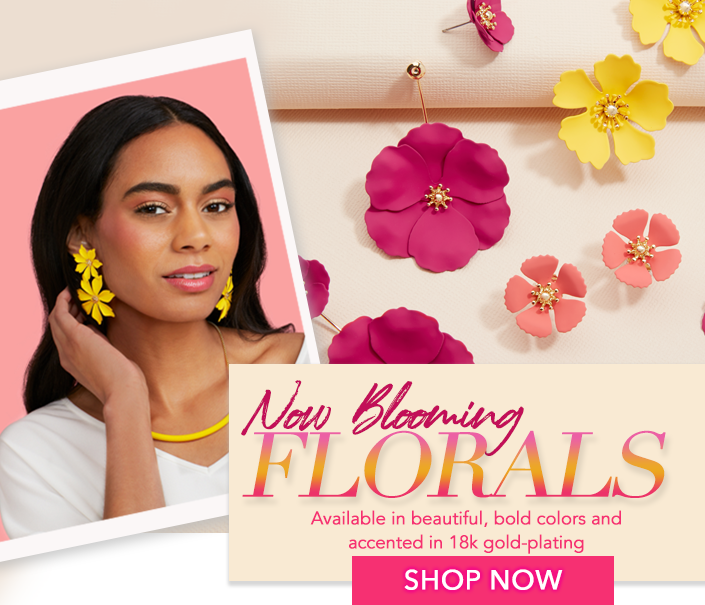 Check out our jewelry collections pages for a quick resource of what is new in trendy wholesale jewelry. We’ve created these pages to make your merchandising process easier. Each page includes a variety of necklaces, bracelets, and earrings so you can mix and match complimentary jewelry styles together. Stay up on the latest trends by signing up for our weekly newsletter. 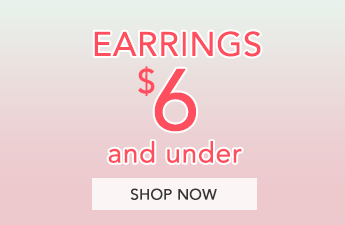 You will be kept up to date on newest arrivals, top sellers and sneak peeks of the hottest upcoming trends in fashion jewelry. 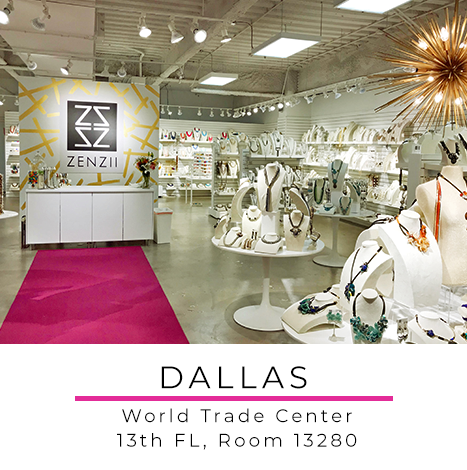 ZENZII has been in business over a decade and continues to provide a one-stop shop for high quality fashion jewelry to our valued customers.